Like everything else, you should not rush into influencer marketing without planning or forethought. This is particularly the case if you are envisaging paying influencers for their services. But it is still relevant if you intend following a more organic route. 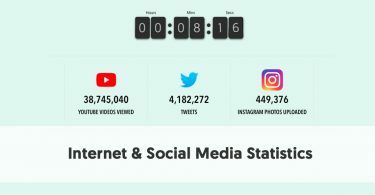 Influencer marketing can take up considerable time, so you want to ensure that you are using your time in the most effective manner. 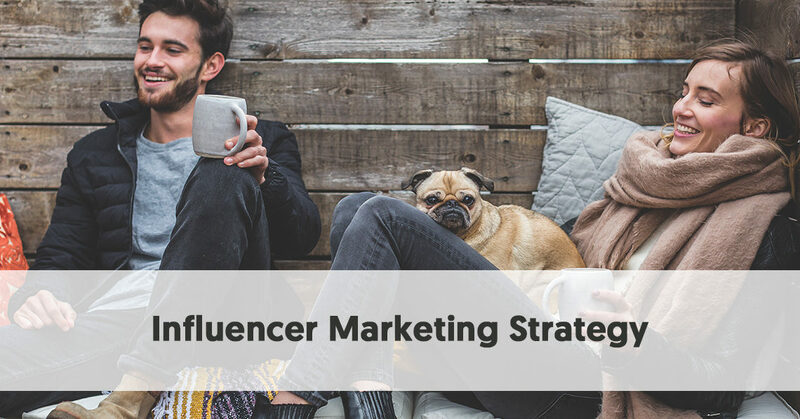 It makes sense for you to first map out an influencer marketing strategy. Here are the key steps to your influencer marketing strategy. Thinking about these issues before you begin, should enable you to maximise your influencer marketing results. For any influencer campaign to be successful you first need to know who you are trying to influence. It helps to be specific. The tighter you can define your target audience, the easier it is to find influencers who are relevant. You will hopefully have already found this for your business when you wrote your business plan. Even if you haven’t formally defined your target audience you will know the types of people who typically buy your product. The worst kind of answer is to try and target everybody. Even producers of everyday commodity products, such as bread and toilet paper, try to differentiate their marketing. That is why they create ranges, focusing on different niches, e.g. a range targeting people who favor quality, versus a range for the budget conscious. Before you can create an influencer marketing strategy you first need to determine what you are trying to achieve. Your aim may be something small like gaining a set number of extra visitors to your website, with them signing up for a newsletter. Alternatively, you might choose to engage in influencer marketing with the aim of increasing sales of a particular product by a certain percentage. It is impossible for you to measure whether a campaign is successful or not if you haven’t set any objectives. The measurement of your ROI at the end of the campaign depends on how you have performed in relation to your initial objective. The whole reason that businesses undertake influencer marketing is to widen the reach of content relating to their product or service. For years businesses created advertisements promoting their products. But the problem is that people can now see right through ads. Ads are self-serving. By definition, an ad simply tells the consumer why a business thinks they should buy a product. An advertisement for a dysfunctional product is likely to still promote it as being good for the consumer. Consumers instead rely on influencers for their recommendations. We have covered this extensively on the Influencer Marketing Hub, for example in Why Influencer Marketing is the New Content King. The influencers provide the trust and authenticity that are necessary for consumers to believe in a product enough to take a risk on buying it. But remember, influence is not simply about popularity. People don’t automatically become influencers because they have large followings on social media. If that was the case, the biggest influencers would be those with the deepest pockets for buying followers. An influencer is somebody who many people consider to be a thought leader on a topic or niche. Thus if you wish to undertake a successful influencer marketing campaign, you need to find the people who your target audience look up to as thought leaders. You have already determined who the target audience is for your influencer campaign. Thus you need to map out the influencer landscape to determine who is truly provides influence to your target audience. Where do the online conversations about your niche take place? How social are the key participants in the niche? Is activity concentrated in a particular place, e.g. on Facebook or on a respected blog, or is the niche more fragmented? Who are the people that most often write or create other content about your topic? What is the background of these people? The more you know about your niche and target audience, the easier the task you will have finding the best possible influencers. There are three main ways that you can find your influencers, depending on how much time and money you are willing to put into the process. In simple terms, the more money you have for influencer identification, the less time you need to spend on it and vice versa. Your influencers can help you shape your content strategy by showing you what most engages your target audience. By allowing your influencers to share your content you can better spot trends and opportunities. They can also help to guide you about what your target audience wants. By actively listening to your influencers you can understand the types of conversations your target audience are having. The influencers know these people very well. They understand the types of content that work – and the types that your audience don’t care about. They can also guide you to areas where there are gaps, waiting for you to create content where there is a demand. The influencers know your audience's worries and concerns, and they know the types of questions your audience often ask. It makes sense that you carry out a Content and Opportunity Audit at the start of your process to better understand the needs of your target audience. It is important that you include your influencers in the conversations. 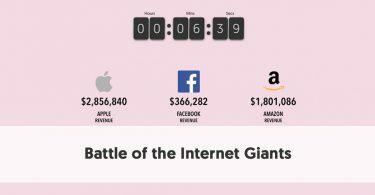 What are your competitors doing with their content marketing? How do your target audience perceive you? What can your brand do to make it relevant to your target audience’s conversations? Once you have decided the general topic areas that might interest your audience you will want to create a content plan. You are going to want to prepare a coordinated series of content that will meet your audience’s needs. It is a great idea to set up a content calendar when you decide what content you need to create by what dates. You want to think through the specific topics that you want to cover. 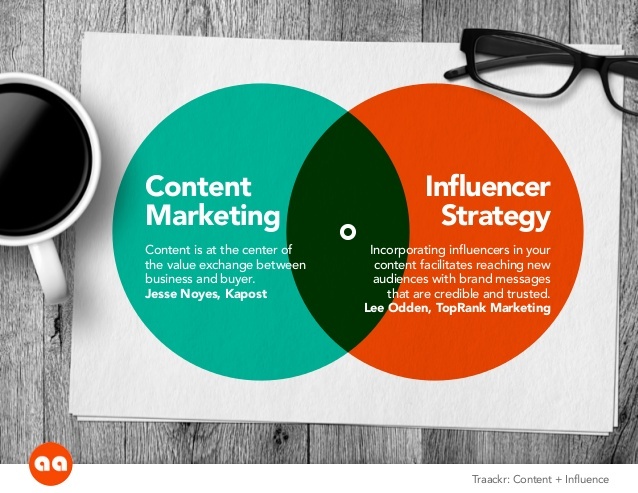 This is also a good time to determine which influencers will be best for sharing particular types of content. In some cases, you may opt to contract particular influencers to create specific items of content which they can share at set points in your campaign. 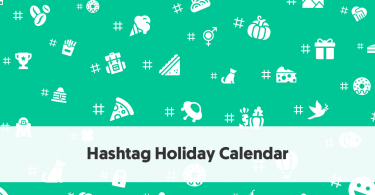 A content calendar helps you plan and coordinate the content you share with your target audience. It also helps you work in with the schedules of your influencers, and anybody you may work with to help with content creation and editing. You should try and ensure that you are always planning at least a month ahead. If you are using busy influencers, you may even want to create greater lead time, especially around busy times of the year. You have presumably selected your influencers based on their knowledge of the niche. Thus you should follow the other content your influencers share. They are likely to be cutting edge in your niche. If they are going to share your content it is useful to see what else they share with their followers. How does your content fit in with the bigger picture? By studying what your influencers say to their followers you may find more opportunities. It is one way that you can keep up with the trends and remain relevant to your target audience. Don’t be afraid to go back and revise your content calendar so that it reflects the topics that truly interest your audience. You can use your influencers to guide you with up-to-date areas of focus and interest. In turn, you can create content that people see as ground-breaking, rather than simply “me-too” material. Once your campaign is underway, keep a close eye on how it progresses. Take a good look at comments made in relation to your shared content. Take particular note of questions asked and problems referred to. For an influencer marketing campaign to be successful, you need quality content for your influencers to share. The influencers may have followers who trust them, but nobody is going to spend money simply because an influencer told them to. When influencers communicate with their followers it is to inform, entertain, educate or inspire them, usually in relation to their specialist niche. Thus for influencer marketing to work, any content that the influencer shares about your product must also be informative, entertaining, educational or inspiring. There is a lot of rubbish content on the internet. No matter how good an influencer is, he or she cannot remain relevant if they share rubbish content. 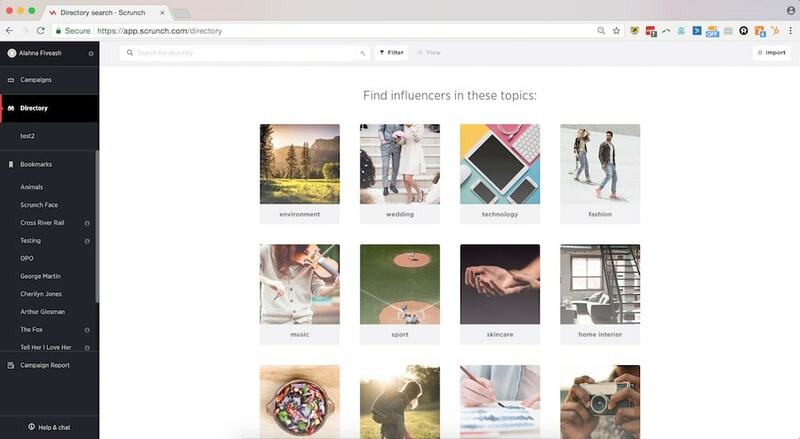 If you haven’t yet built up relationships with your influencers you may kickstart this process, by curating high-quality pieces of your influencers’ content, sharing it with your followers. If you do this and add further value to it yourself, you might even gain the notice of the influencers, who may, in turn, share your curated content with their larger audiences. This is a good way to build up an influencer relationship, particularly if you have chosen the manual influencer identification process, without involving platforms or agencies. Your influencers need to constantly be on the lookout for compelling content. You can help them in this process. Provide them with resources they can use for their content. If it would help them, give them an insider’s view of your business. Provide your expertise to assist them – this could be data, expertise or inside knowledge of the industry. You could negotiate with an influencer to co-create an item of content. While this could something as simple as a blog post, you might consider something larger, such as a white paper or research report, a webinar, or an online presentation. The level of formality to your campaign will depend to some extent on the nature of your relationship with your influencers. If you have signed up to a platform or agency and found influencers there, you will clearly set up specific campaigns with your influencers. In these cases, you will probably come to an agreement on the content that the influencers will deliver – whether it is created by you or the influencers – and how they will deliver the content. You will probably make an arrangement for them to make a set number of posts, about certain topics, on set days. You will have agreed on a payment schedule – either via an agency or platform or directly in negotiations with the influencers themselves. If you have built up your influencer arrangements more informally, you might not operate dedicated campaigns. It may be more of a case of you creating content, and trying to encourage influencers to share it. Often this will be for free – they choose to share your content because of its quality, not for financial reward. If you build up a good enough organic relationship with an influencer you may be able to approach them about participating in a more formal campaign, for an agreed payment. This may be in money terms, or it may be for free product. In this case, you and the influencer can negotiate about who provides the content he or she will share. Ultimately the success or otherwise of your influencer campaign comes back to the objective you set at the start of the process. We have written an eBook on How To Measure Influencer Marketing ROI that can give you more details about how you can determine the best ROI measurement for you. When your campaign is over, you should compare your actual ROI to your objective. If you have met your objective, it is time to re-evaluate things and possibly a new campaign with a higher objective. If you have failed to meet your objective, take a close look to try and determine what the problem was. Take stock and change your next campaign to see if you can improve on your results.